I finished the red quilt top and was so excited to be completed ( I was happy dancing all over the place) until it came time to take photos! Some crazy Polar Vortex with cold temperatures has taken over my neck of the woods ( thank goodness I am not in Buffalo! If you are,please stay safe and warm!). Going out in 22 degree temps is not my thing. So, I had to figure out how to take semi decent photos inside...HA! It has been a learning experience. 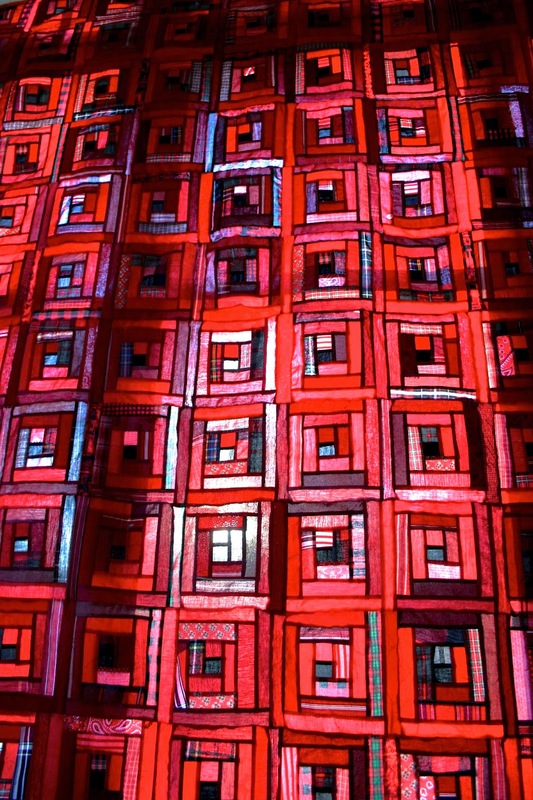 I learned that my windows are filthy and I spent some time cleaning them, I learned that printer paper and tape are the PERFECT size to cover the tiny windows at the top on the opposite side of the room to block the light from hitting the bottom of the quilt, I learned that photographing a red quilt and trying to get the true colors is IMPOSSIBLE and I learned ( which I knew since we moved in over five years ago) I HATE the color of this room! My hope is to have the entered and up for display during Quiltcon. Luke will make this quilt of humble beginnings come to life! Beautiful quilt top! And I don't blame you for not venturing out in that cold weather. The pictures turned out great. Love the stained glass looking photo. Just fabulous! Thanks for taking the time to share. I wouldn't go out in that 22 degree weather either! Your quilt looks gorgeous! Girl, if I could take photos so well! I agree, the stained glass look in one of the photos adds another dimension. As for the 22 degrees, brrr and too cold for anything outside! Great Job!! Stay inside and stay warm. Truly a wonderful quilt and at 22* I'd be doing the same kind of photo shoot! Love love love red! I LOVE it! Wow, what an inspiration!!! its a beautiful top and will be a treasure once finished! You're too hard on yourself, Kim! You did a great job capturing it! 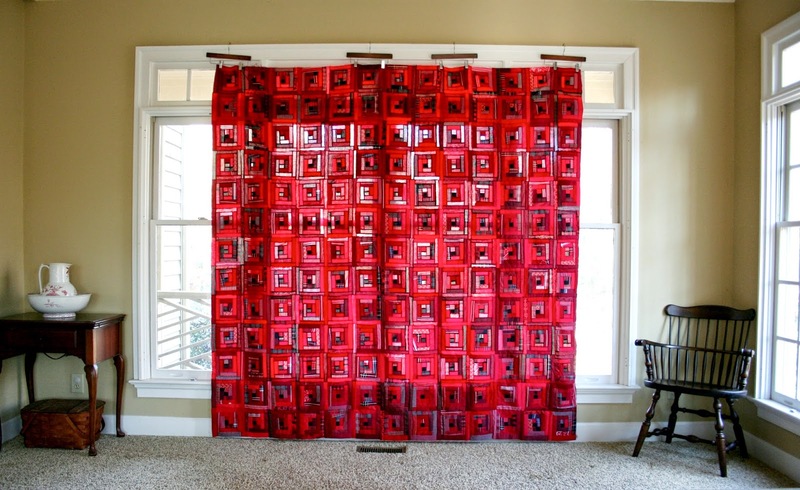 I'm a big fan of all things Log Cabin, and your "recycled red" version is so fantastic!!! I absolutely love it, and I plan to make my own red version after Christmas. Thanks for the inspiration! !